My friend Susan set the year off with a bang, inspiring all of us to have some fun making a few changes in our lives. She created a 365-day challenge, 30 days at a time, and of one’s own choice. At first, I kept my challenge secret because I wasn’t sure I could do it. But, I did it! I studied Spanish on Duolingo for 30 minutes a day for 30 days. Well, I did it every day that I had Internet connection. Missing three days didn’t seem bad because I practice Spanish every day talking with the locals. The good thing is that I think it helped me. 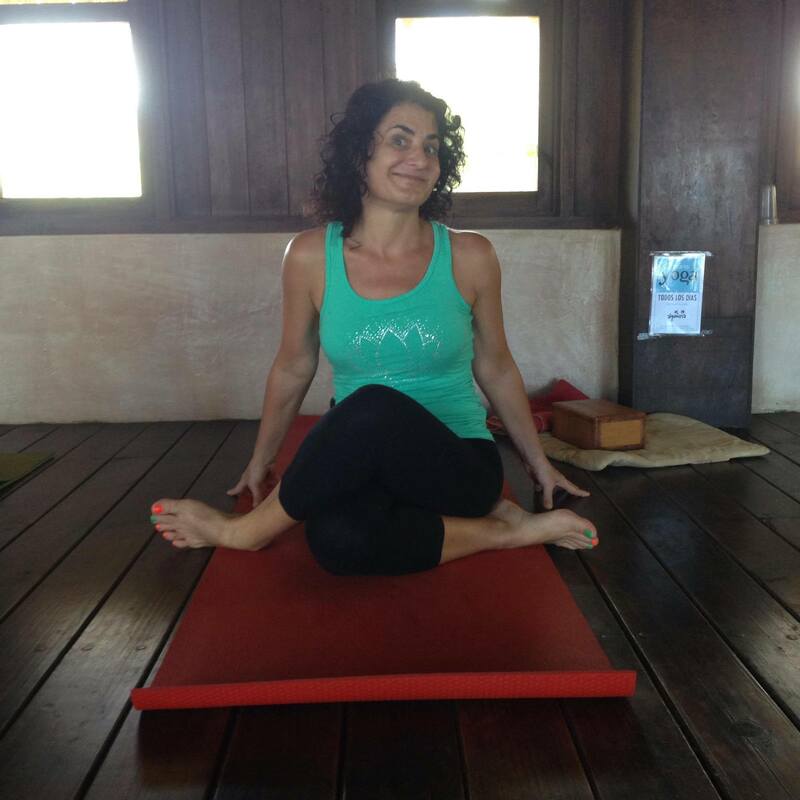 For my February challenge, I consulted my friend Kine, who teaches with me at Pura Yoga. She’s an expert on therapeutic yoga, and so I needed her advice on how to best get my hips and legs ready for lotus. I’ve always wanted to do lotus: sitting lotus, lotus in shoulder stand, lotus in headstand. The closest I’ve ever come in my nearly 20 years of practicing yoga is half lotus. Kine thinks it’s because my hips aren’t rotating the way that facilitates lotus, so she challenged me to do Gomukhasana (Cow face) legs and Agnistambhasana (fire log). I decided to do five minutes on each leg of each pose, with the hope that I can do lotus by day 30. Even if I cannot, I’m enjoying the quiet time of just sitting, and when it’s uncomfortable (and it kind of is all the time), I use it as an opportunity to come to my breath to manage my discomfort. You can see by my “before” pictures, that I have my work cut out for me! What pose challenges you most? Which do you like the least? Let my challenge be your motivation to do it every day for 30 days, if even for a minute. Good luck my dear friend. I have been inspired and started my challenge: 30 days with rolling on my hamstrings and feet preparing for 10 minutes supported forward fold in Pachimottanasana.